Aspen Institute President and CEO Dan Porterfield delivered the opening keynote at the Aspen Challenge opening forum in Dallas, Texas on Thursday, January 31, 2019. Follow him on twitter @DanPorterfield. Thank you for that generous introduction and warm welcome, and good morning! I’d like to start by thanking the Mike Bezos and the Bezos Family Foundation for their generous support for the Aspen Challenge, and all who are part of the Aspen Institute and the Dallas Independent School District. Last year’s teams were fantastic, putting together smart, relevant new ideas for progress in areas like supporting immigrants and improving public transportation. I know these groups, coming from 20 different schools, will be equally inspiring—and thank you to all the dedicated teachers and educators whose work makes the Aspen Challenge possible. Challenges are both obstacles and opportunities—and meeting one can be exhilarating and inspiring. If you like pro sports, it’s exciting to watch a team like the Cowboys meet one by turning around their season and making the playoffs—but even better is doing it ourselves, as part of a team that’s trying to improve life for other people. Like what’s happening all across the Midwest in the United States, as the polar vortex has dropped record low -10, -20 temperatures on big cities and small towns, and people are teaming up to keep each other safe. So we’re here today not to cope with a challenge, but to assign ourselves twenty new ones, one per team from our 20 high schools. Last year’s Aspen Challenge-Dallas was a big success. 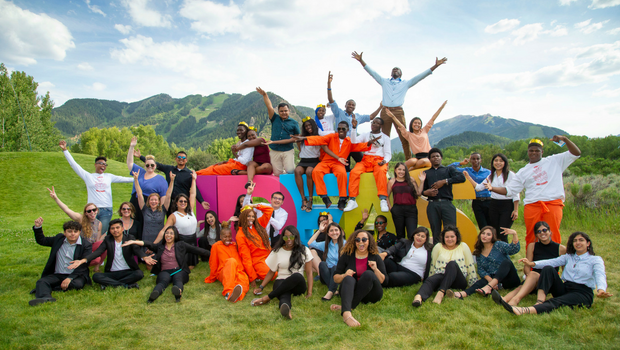 Three teams got to present their concepts in Aspen, Colorado last summer—but every team won the Challenge because every team came up with ideas to make a difference. 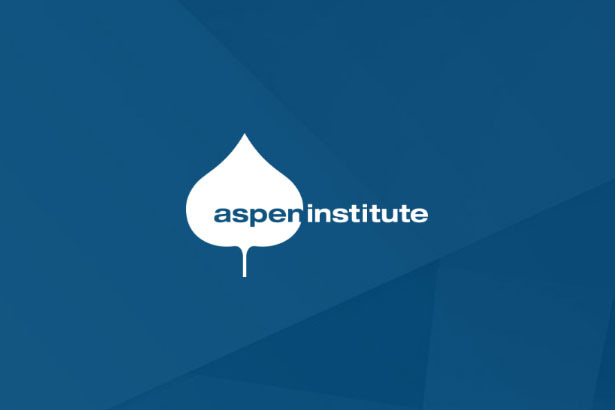 I know, you’re probably wondering, what is the Aspen Institute? It’s like the Force in Star Wars—it’s everywhere, all across the country and in many parts of the world, trying to help people. We’re a non-profit organization whose purpose is to create a free, just, and equitable society, where everyone has equal education and equal opportunity. We convene people to make change on problems like poverty, unequal education, and prejudice. We go to communities like we’re doing today in Dallas, all over the country—Detroit, rural Ohio, New Mexico, Seattle—to see firsthand who is making a difference—and then lend a hand and spread the word. And we identify and invest in leaders—you and all the Aspen Challenge youth teams from L.A., Philadelphia, Denver, Chicago, Washington, DC, and Louisville. We believe that young people should be the center of our efforts because they are the future of our country. We believe you have the vision and voices and talent to lead. But what is real leadership? It’s not a title. It’s not having the authority to tell people what to do. Leadership is about serving others, as Dr. King said. It’s being out front—what he called a “drum major for justice.” Leadership is being an honest person. Leadership is setting a good example that others want to follow. Leadership is having a mindset to make a difference—and to work with and for others. Let’s make this more concrete: Can anyone give me an example of a real leader in your lives—in your schools, neighborhoods, or families? Now let me talk with you about three groups of young leaders. Maybe one will be an inspiration to you. First, at the 2016 Aspen Challenge in Chicago, the students of Lindblom Math & Science Academy looked for a problem no one had addressed before. They came up with the idea that people would benefit from learning more about managing their money—like how to plan a budget and open a savings account. 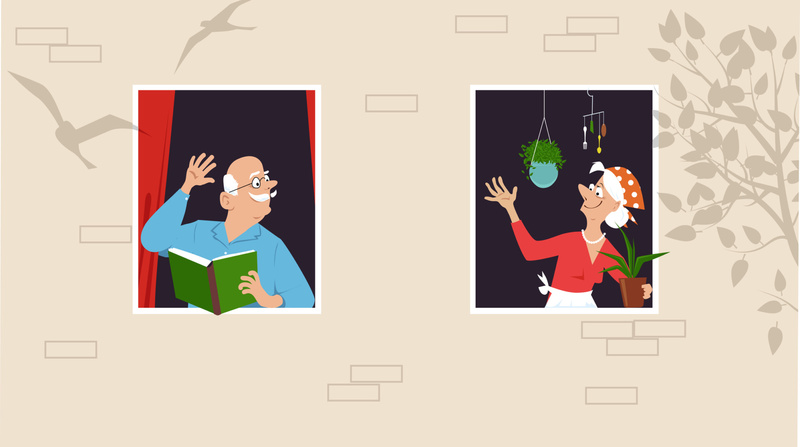 They surveyed their neighbors to find out what they wanted to learn. They created fact sheets about bank accounts, student loans, debt, banks locations, and how to open an account. Then they hosted banking fairs, taught lessons in classrooms to elementary school kids and to parents, and promoted their events on social media. They called themselves the MoneyL.Y.F.E team—Leading Youth in Financial Education. Come together now, all together now. MoneyL.Y.F.E. did turn the page for their community. 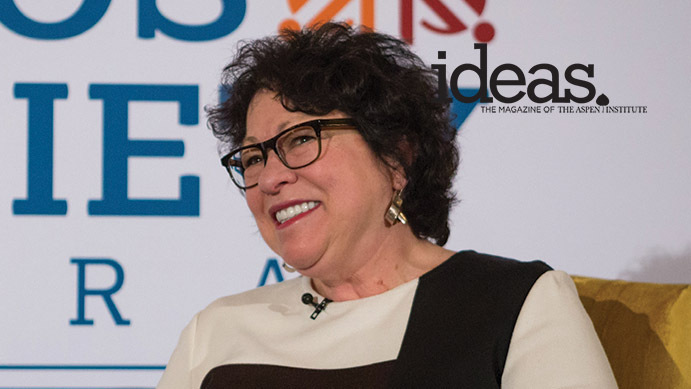 And three years later the group is still making a difference – and the Aspen Challenge students who founded it have all developed important skills helping them in college and careers – like teamwork, communication, persistence, optimism, and creative problem-solving. As you’ll see in college and in work, we are in teams all the time. To be successful in life, we all have to be able to play a strong role in group after group, every day. Life is all about working well with others. Now let me tell you about a superb college organization, from Franklin & Marshall College in Pennsylvania, where I used to work. 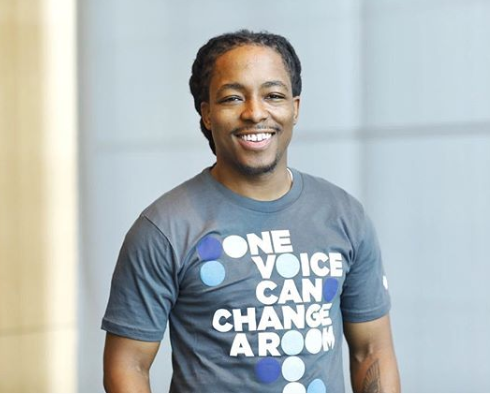 It’s a terrific school that was starting to become more diverse ten years ago when a handful of young men of color took the initiative to help make campus culture more inclusive. A group of African-American and Latino men decided it would be a help to meet up weekly to talk about important issues in their lives. One week they would discuss finding role models. Another it was fostering respect for women. Another it was how to interact with law enforcement at home. Another it was resume building. Every Tuesday they put on neckties to show the broader campus community that they were a growing and very professional force. I will not refuse to do what I can do. And I can make an IMPACT. Once started, nothing could slow it down. IMPACT has existed for more than ten years, and every new class of men is invited to join, from all backgrounds. Every other group on campus wants to co-sponsor events with IMPACT, because they have their act together. And now F&M has a women’s organization, too—SISTERS—Sophisticated, Intelligent Sisters Teaching Excellence, Responsibility, and Success. My point here is that you can have influence. You can make an impact. And everybody here believes in you. Let me close now with one more story that is really about young voices rising up to challenge older people to see a tragic problem in a real way and develop some urgency to act. It has to do with last year’s Aspen Ideas Festival, which some in this room will attend next year. There were other groups of young people there, too—and one group was focused on stopping gun violence. Here’s what happened…. Two young women from Parkland, Florida and one young man from Chicago shared stories of how gunshots ripped holes in the bodies of loved ones right in front of them and ripped holes in their own souls as survivors. They were survivors first of violence and then secondly of apathy and cynicism and denial. And yet the panel veered off into a disturbing direction for a surprising reason. You see, the moderator—a journalist—showed no empathy with his questions and comments. He kept asking these brave youth why they presumed to think, as mere teenagers, that their ideas would have any impact on gun policy in this country. I think he was trying to come off as fair-minded and tough, but to me, and many others, he just looked cold. Three groups of teens came together that night—rural, urban, and suburban. They shared their pain and their fears. Each was a survivor of trauma—and each chose to confront the trauma by giving voice to it. They said they wanted change. … Then all of you can rise up too, now and always. Good luck rising to the Aspen Challenge and have a great time making an impact!